· Over half of students (53 percent) who started Core5 working on skills two or more grades below their grade level ended the school year working on skills in their grade level or reached their end-of-year, grade-level benchmark in Core5. Among these students, 65 percent gained two or more grade levels of skills in one year. · The majority of students (87 percent) classified as working on grade level at the beginning of the year reached or exceeded their end-of-year, grade-level benchmark—including 17 percent who advanced to complete the next grade’s end-of-year benchmark in Core5. · More than half of students (52 percent) who started Core5 working on skills one grade below their grade level closed the gap and reached their end-of-year, grade-level benchmark in Core5. Another 44 percent made meaningful progress, ending the school year working on grade-level skills in Core5. “I saw Core5 enable a third-grade student to progress from reading at a pre-primer level to a third-grade level in a matter of months,” stated Alex O’Dell, the principal of Mary Walter Elementary School in Bealeton, VA. The school had begun using Core5 during the 2015/16 school year in order to help struggling students close literacy skill gaps and accelerate learning for their ESL (English as a Second Language) students. The program was not confined to that specific subpopulation for long. “I made the decision to purchase a Core5 site license and to use it school-wide,” said O’Dell. Mary Walter Elementary students come from diverse backgrounds that affect literacy skill development: 54 percent of students are economically disadvantaged, 26 percent of students are ESL and 15-20 percent of the students in mainstream classes require special education. By May 2017, the percentage of K-5 students working in or above grade level in Core5 increased substantially – from 40 percent to 99 percent – in less than one school year. 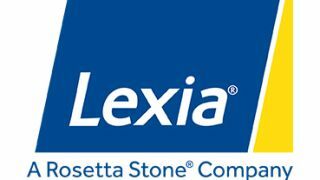 Lexia Reading Core5, a Rosetta Stone (NYSE: RST) Company, is a research-proven, technology-based program that accelerates the development of fundamental literacy skills for students of all abilities in grades pre-K-5. Following a rigorous scope and sequence built for college and career ready standards, Core5 provides explicit, systematic instruction through personalized learning paths in six areas of reading. Core5 seamlessly adapts based on student performance, targeting skill gaps as they emerge and equipping teachers with the data and instructional resources they need to personalize instruction for every student. Embedded assessment technology predicts students’ year-end performance and provides ongoing norm-referenced and actionable data to help teachers prioritize and plan instruction with the offline instructional materials. About Lexia Learning Lexia Learning, a division of Rosetta Stone, empowers educators through adaptive assessment and personalized instruction. For more than 30 years, the company has been on the leading edge of research and product development as it relates to student reading skills. With a robust offering that includes solutions for differentiated instruction, personalized learning, and assessment, Lexia Learning provides educators with the tools to intensify and accelerate literacy skills development for students of all abilities. For more information, visit www.lexialearning.com. About Rosetta Stone Rosetta Stone Inc. (NYSE: RST) is dedicated to changing people’s lives through the power of language and literacy education. The company’s innovative digital solutions drive positive learning outcomes for the inspired learner at home or in schools and workplaces around the world. Founded in 1992, Rosetta Stone’s language division uses cloud-based solutions to help all types of learners read, write, and speak more than 30 languages. Lexia Learning, Rosetta Stone's literacy education division, was founded more than 30 years ago and is a leader in the literacy education space. Today, Lexia helps students build fundamental reading skills through its rigorously researched, independently evaluated, and widely respected instruction and assessment programs. For more information, visit www.rosettastone.com. “Rosetta Stone” is a registered trademark or trademark of Rosetta Stone Ltd. in the United States and other countries.